Lead is a toxic metal used in building construction, batteries, radiation shield. It has a high density and is resistant to corrosion. More than half of the worldwide lead production is used in automobiles as electrodes in the lead–acid battery. Scientists have discovered that fungi can transform lead into its most stable mineral form. It suggests that this interaction between fungi and lead may be occurring in nature anywhere the two are found together. It also suggests that the introduction or encouragement of fungi may be a useful treatment strategy for lead-polluted sites. "Lead is usually regarded as a pretty stable substance," said Geoffrey Gadd of the University of Dundee. "The idea that fungi and other microbes may attack it and change its form is quite unexpected." The findings are reported online in Current Biology, a Cell Press publication. In 2007, China was in the spotlight after a spate of product recalls said to contain lead. U.S. regulatory agencies and companies instituted numerous recalls on China made products such as toothpaste, children's jewelry, toys, tools, dog food, baby bibs, tires and computer batteries. These were found to contain lead paint. The toys were coated at a factory in China with lead paint, which can damage brain cells, especially in children. Mattel alone recalled more than 19 million of its toys because of this. 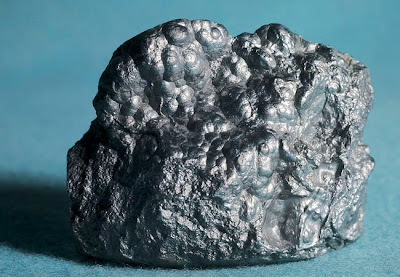 Lead is an important structural and industrial material and, as an unfortunate consequence of its popular use in everything from firearms to paint, lead contamination is a serious problem worldwide. There have been efforts to contain lead in contaminated soils through the addition of sources of phosphorus, an element that enables the incorporation of lead into a stable pyromorphite mineral. But that change had been considered a purely chemical and physical phenomenon, not a biological one. That is, until now. In the new study, the researchers carefully examined lead shot after it had been incubated with and without fungi. In the presence of fungi, the lead shot began to show evidence of pyromorphite formation after one month's time. That stable lead-containing mineral continued to increase in abundance with time. Minerals found on the surface of lead shot incubated without fungi represented less stable forms as a result of normal corrosion. "It seems the ability of many fungi to produce organic acids or other substances may be very important in attacking the lead and releasing forms of free lead including lead complexes, which can then react with phosphorus sources to form pyromorphite," Gadd explained. While not all species of fungus are able to transform lead in this way, it appears that many of them can, he added. It's not entirely clear why some fungi do this, but it might assist their survival in contaminated soils. The discovery is yet another example of the "amazing things that fungi, and microbes more generally, can do in the environment," says Gadd. "Even metals can be subject to microbial colonization and attack."